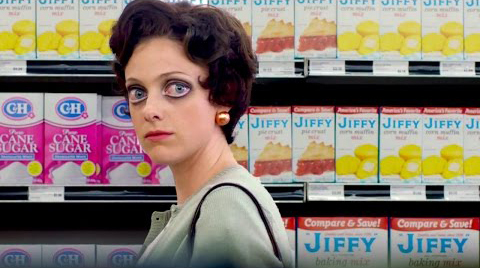 Big Eyes – Did You See That One? 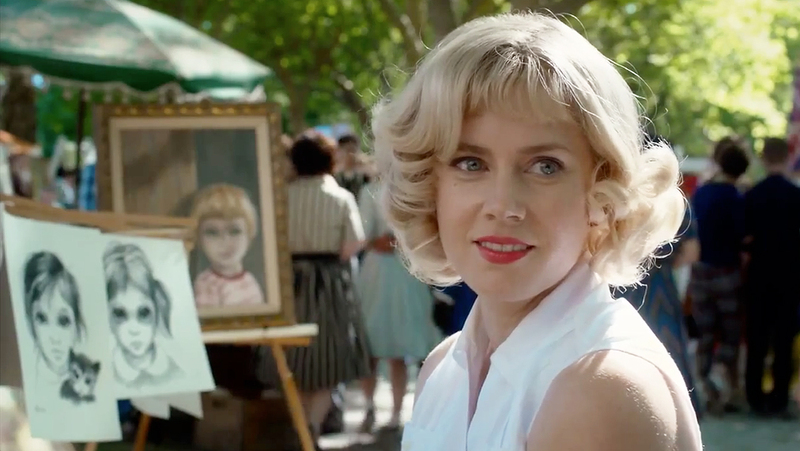 Margaret Keane (Adams) has poured her life into her work. As her paintings begin to sell, she’s finally able to cash in on her labor of love. Unfortunately, she’s married to the man getting all the credit. When she looks to break away from Walter, she’s forced to confront him in the media and in the courts. Tim Burton (Pee-wee’s Big Adventure) was behind the camera for this unique 2014 film. 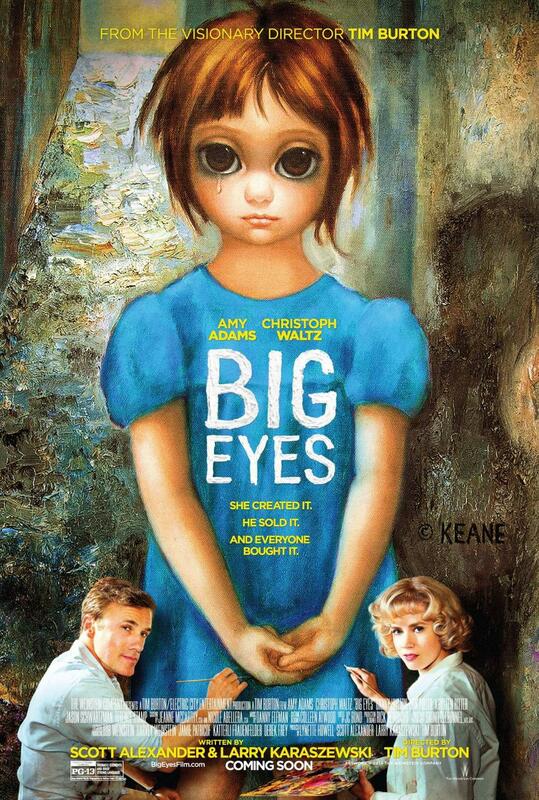 The story was taken from real events surrounding the troubled relationship between Margaret and Walter Keane. Scott Alexander (Ed Wood) and Larry Karaszewski (Man on the Moon) combined their efforts to write the screenplay. The cast features five-time Oscar nominee Amy Adams (American Hustle) and two-time Oscar winner Christoph Waltz (Django Unchained). 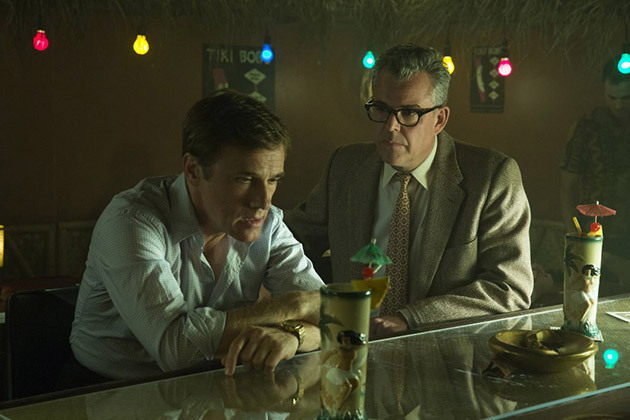 Krysten Ritter (27 Dresses) and Danny Huston (Birth) are also featured in this one. This is an interesting story, told from a unique perspective. The facts in the story are nicely blended with more unique visual moments that make it clear that Tim Burton is involved. The dialogue is well-written and interesting. The writing does a good job letting the viewers in on the secrets of everyone involved. While this might have made the film predictable, it’s not a problem in this one. The real strength is in the journey. The payoff does seem a bit easy to come by, but it’s not going to disappoint most people. Overall, this features good writing that is almost great. The acting in this movie is wonderful. I’m a fan of pretty much everyone in the cast, and no one seems to disappoint. Adams is in great form as the subdued and conflicted Margaret. Her performance seems to reflect the highs and lows of her character’s emotions. She also has a silent strength that she’s able to convey throughout the whole movie. This strength sets the tone for the film. She’s got good company in Christoph Waltz. His ability to bring intensity to every moment is well-needed in this one. A quieter performance would’ve really turned this into a slow burning wreck. Instead, he brings in a passionate performance that captures the essence of his role. These two actors are joined by a number of great actors that do nice work as well. Ritter and Huston are just two of the people who did great work in this movie. Huston has a unique role that’s really enjoyable throughout the movie. The visuals in this movie do a good job creating the small 1960s world that the story takes place in. Between great locations, sets, and art decoration this does everything right. The film also features some interesting visuals that feel right at home in any Burton film. The visuals aren’t the only strength in this one, as it features a nice score as well. Danny Elfman is the frequent collaborator of Tim Burton’s, and his music fit this one nicely. Overall, this is a good film that has some great moments. I really enjoyed the acting and this one looks great as well. The weaknesses in the story likely won’t bother most people. If you’re a Burton fan, you should see this one. I would also recommend this to fans of the stars. I give this one 4 out of 5 stars.